Gamma PGA 30% Agriculture -producer:LuBon Industry Co.,Ltd. Gamma-poly-glutamic acid (gamma-PGA) is a natural occurring, multi-functional, and biodegradable biopolymer. It is produced through fermentation by Bacillus subtilis using glutamic acid. PGA is consists of glutamic acid monomers crosslinked between α-amino and γ-carboxyl groups, and the molecular weight of PGA is usually between 100~1000 kDa. It is water-soluble, edible and non-toxictowards human, and is environment friendly. It has broad applications in the fields of medicine, food, cosmetics, and water treatment. 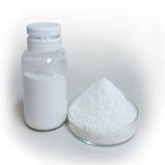 gamma-PGA and its derivatives can be widely used in the food industry, cosmetics, health care,water treatment, hygienic products, medical and other fields. and assist clients in application development trials. gamma-PGA pure powder for Medicine, Food, or Cosmetic. gamma-PGA broth powder for Agriculture. 100g,1kg,10L, or or packed to customer’s requirement. Keeping in cool place with no direct sunshine exposure and the temperature is below 20°C, the validity period is two years. Copyright © 2010 Poly glutamic acid. Gamma Polyglutamic acid.